Here’s the first hit of the SUMMER! Summer’s coming into play in a big way. 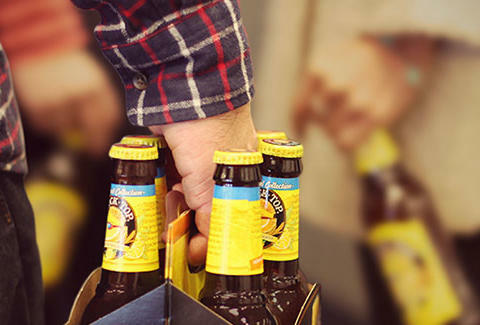 The weather’s getting hotter, the pants are getting shorter, and, as if delivered from the lemonade stand of your dreams, Shock Top is bringing back their Lemon Shandy. A twist on the classic concoction, the Shandy takes Shock Top’s already citrus-y wheat beer and pumps up the deliciousness with a serving of lemonade -- making it summer's lip-smacking, brow-wiping, freshly-mowed-lawn-considering beverage of choice… even if you’re unfortunately lawnless at the moment.